Political consultant, President-founder of the Réseau Voltaire (Voltaire Network). Latest work in French – Sous nos Yeux. Du 11-Septembre à Donald Trump (Right Before our Eyes. From 9/11 to Donald Trump). While Turkey has fostered economic links with China in order to solve its economic crisis, it has also publicly denounced the repression of the Uyghurs, basing its accusations on false information. Beijing sent a very cold reply. Everything is happening, now that Daesh has disappeared from Iraq and Syria, as if Ankara was once again running secret operations on behalf of the CIA, this time in Xinjiang. 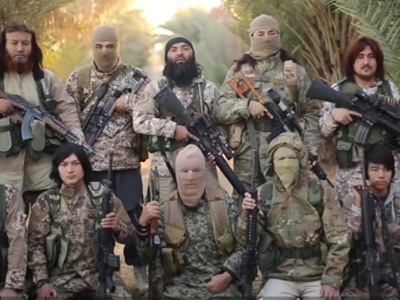 Chinese Uyghur jihadists in Syria. For the last few weeks, the Turkish Press has been talking about the fate of the Uyghurs, the Turkish-speaking Muslim population of China. The political parties of the opposition, including the Kemalists, have been outdoing one another to condemn the Han repression of this minority and its religion. And the hearing, organised in Washington on 28 November 2018 by Senator Marco Rubio (R-FL) and Representative Chris Smith (R-NJ), before the Congressional-Executive Commission on China, (CECC), on « the repression of religions by the Chinese Communist Party » . Thus we learned that between one and three million Uyghurs are being submitted to electrical torture in the re-education camps. These accusations have been reprised by Amnesty International and Human Rights Watch. It was in this context that the spokesman for the Turkish Minister for Foreign Affairs, Hami Aksoy, published a communiqué on 9 February 2019 officially condemning the « Chinesation » … of « the ethnic, religious and cultural identities of the Turkish Uyghurs » and the death in prison of the famous poet Abdurehim Heyit, who was serving an « eight-year » sentence of confinement for « one of his songs » . The following evening, China published a 26-second video by the spurious dead man. In it, he declared : « My name is Abdurehim Heyit. Today is the 10th of February 2019. I am the subject of investigations into the suspicion of violation of national laws. I am now in good health and have never been abused ». On the following day,11 February, the spokesman for the Chinese Minister for Foreign Affairs, Hua Chunying, launched into a severe criticism of Turkey’s « errors » and « irresponsibility » . 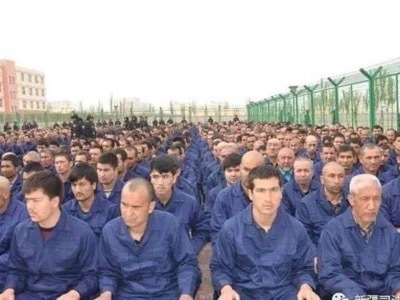 While the imprisonment of at least 10,000 Uyghurs implicated in terrorist activities is attested, the number of between one and three million definitely is not. Already by 1 June 2017 and on 13 December 2018, the Chinese had published two documents – one of them concerning Human Rights in Xinjiang,  and the other on The Protection of Culture and Development in Xinjiang . Islamist prisoners at the Deradicalisation Camp in Lop. However, the Communist Party doesn’t really know how to manage political Islam. It analyses the question from the viewpoint of a particular past, that of the Cultural Revolution and the outlawing not only of Islam, but all religions. After having established freedom in this matter, it is now witnessing the rebirth of the divisions of the Civil War, and the multiplication of jihadist attacks . On 1 February 2018, it launched a new religious policy aimed at assimilating Islam by suppressing certain identity practises . The members of the Party are obliged to provide the example by refusing to eat halal. Nonetheless, 24,400 mosques are open in Xinjiang for the 13 million Muslims. For twenty-five years, Uyghur organisations have been clamouring for the creation of an independent state, first of all secular and now « Islamic » (in the political sense, not religious according to the Muslim Brotherhood’s definition of the term), in Eastern Turkestan (according to medieval title of Xinjiang). They were immediately awarded CIA support against the Beijing authorities. In 1997, the Turkestan Islamic Party (TIP) was created, and left the region to undergo training in Afghanistan with the Taliban and certain elements of Al-Qaïda. It quit political Islam and is directly funded by the CIA. In September 2004,a « government in exile for Eastern Turkestan » was founded in Washington by Anwar Yusuf Turani. It is a reconstruction of the alliance between the Kuomintang and Taïwan, in the prolongation of the Chinese Civil War (1927-1950). In November of the same year, in Munich, a world Congress of the Uyghurs was created, of which Rebiya Kadeer became President. It favours ethnic separatism. The latter two entities are financed by the National Endowment for Democracy, an agency of the « Five Eyes » group . Serious rioting broke out in Xinjiang, first of all in February 1997, then in July 2009. The demonstrators claimed that they belonged to the Uyghur separatist movement, Kuomintang Communism, and political Islam. Beijing calmed the situation down by offering the Uyghurs certain privileges, for example, dispensing them from obeying the one-child policy (today abandoned) . The US campaign against the repression of the Uyghurs seems to be compromised by the investment of Erik Prince, the founder of Blackwater, in the Xinjiang authorities . Prince is not only the principal businessmen specialised in the creation of private armies, he is also the brother of Betsy DeVos, Donald Trump’s Secretary for Education. His security agents are apparently mercenaries working on behalf of Bingtuan, a Han militia in Xinjiang. It so happens that during the 1990’s, when the present Turkish President Recep Tayyip Erdoğan was the head of the Millî Görüs and Mayor of Istanbul, he supplied a rear base for various Islamist terrorist movements, whether they were Tatars, Chechens or Uyghurs . The question must therefore be asked – is the Turkish declaration against the Han repression of the Uyghurs a simple interior stance in order to avoid being over-run by the opposition parties, or is it a new state policy which conforms to the former responsibilities of President Erdoğan in the CIA terrorist strategy ? The East Turkestan Islamic Movement (ETIM) was very active during the war against Syria, with the support of the National Intelligence Organization (NİT). For many months, 18,000 Uyghurs (including at least 5,000 jihadist combatants) lived secretly in al-Zambari, a Syrian town on the Turkish frontier in the governorate of Idleb. They maintained their position with the help of the German and French special forces . While President Donald Trump is preparing for a commercial struggle with Beijing, everything seems to be developing as if a reconciliation has occurred between the CIA and Turkey, aimed at planning further secret operations against China.